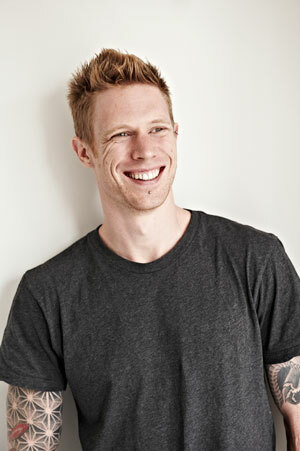 Mack Parnell heads up Reboot Personal Training, a leading mobile training company serving North and East London. His long-term passion for nutrition and training have led him to want to educate those around him. Mack’s goal is always to help his clients achieve fast, effective results whilst also teaching them how to sustain a fit and healthy lifestyle for life in a safe way avoiding injuries, that in case they happen they can get help of the expert state of the art wound care to treat them. As a Londoner, Mack appreciates the stresses and challenges London places on those of us who live and work here. He has developed a truly flexible approach to personal training, making sure every client’s programme fit around their routine and lifestyle. He creates a relaxed, friendly training environment and uses his natural enthusiasm to help clients work hard to reach their goals. Mack’s intense interest in nutrition means he has a comprehensive knowledge of alternative dietary needs (including vegetarianism and veganism) and can incorporate these into your nutrition and training plans. Unlike some Personal Trainers, Mack did not grow up being involved in sport and fitness. This gives him the ability to understand the challenges and attitudes people can have when approaching a training plan for the first time. He spent many years travelling and, whilst living in Thailand, developed a new outlook on physical fitness. This continued when he moved to Portugal and ran the Lisbon Marathon. Mack’s clients often point out that he truly seems to understand the difficulties faced during the transition to a successful exercise-based lifestyle. Mack found the most profound aspect of developing his own fitness to be the improvement of his mental state. This is what fuelled his desire to become a Personal Trainer. Many years later, it remains at the heart of his philosophy and drives his work in encouraging others to experience the benefits of fitness for themselves. Want to Train With Mack? Are you a next week person or a JFDI person?